Item # 308954 Stash Points: 15,300 (?) This is the number of points you get in The Zumiez Stash for purchasing this item. Stash points are redeemable for exclusive rewards only available to Zumiez Stash members. To redeem your points check out the rewards catalog on thestash.zumiez.com. 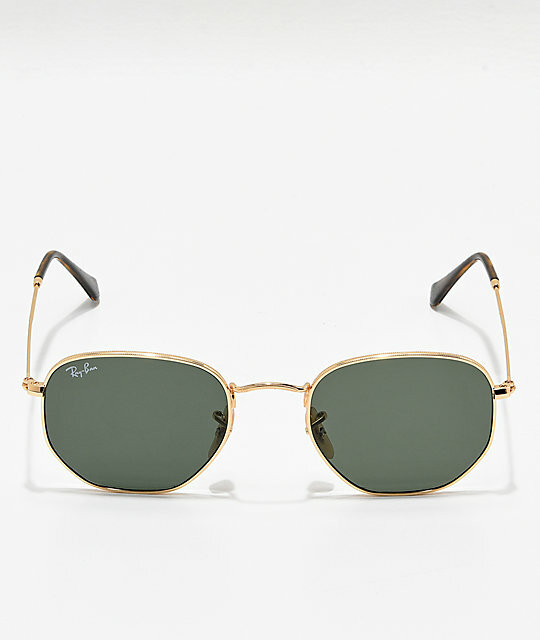 Finish off your look with a pair of Ray-Ban Hexagonal Gold & Green Sunglasses for a hint of classy, subtle originality. The Ray-Ban classic green lens has been reimagined in shape, but with all the same great quality we can count on from the brand, such as 100% UV protection. Treat yourself to some hand crafted and high quality eyewear, get a pair of Ray-Ban Hexagonal Gold & Green Sunglasses to be your outfit statement piece. 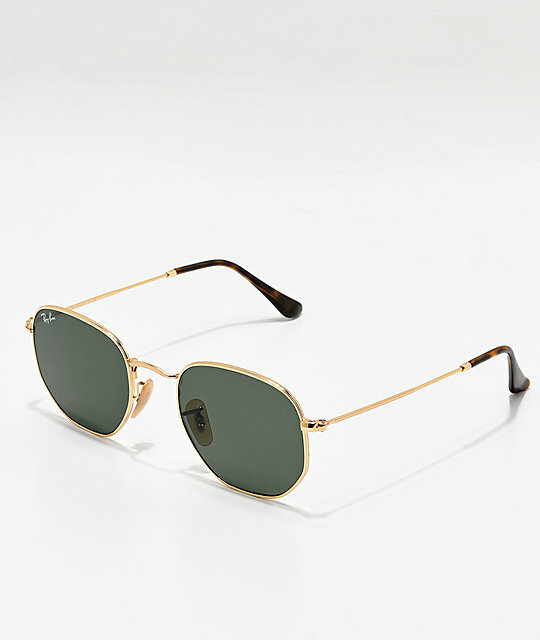 Hexagonal Gold & Green Sunglasses from Ray-Ban. Classic Green lens in a hexagonal shape.